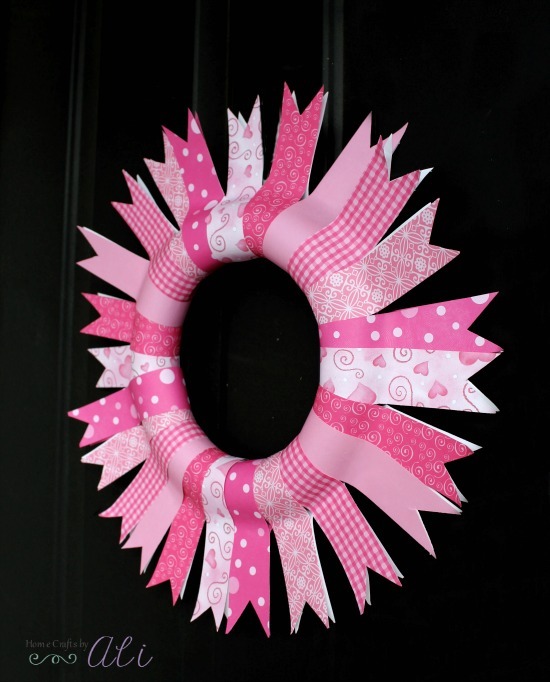 Decorate your front door for Valentine's Day with this wreath made from scrapbook paper. 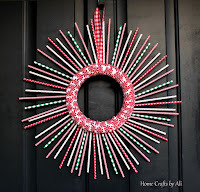 With just a few items and half an hour or less, you can make this sweet wreath for your door! Does your door look bare since you took down your Christmas wreath? 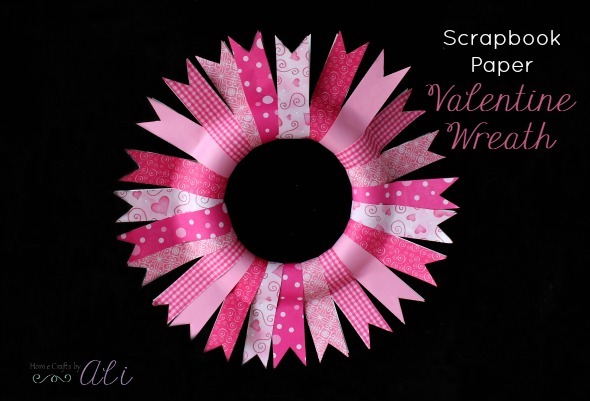 Make this cute Valentine wreath to lovingly welcome guests to your home. This wreath is perfect for your door while you wait for warm spring weather. I love having a wreath on my door. I change them out when the seasons change or holidays pass. I was looking through my wreaths and noticed that I didn't have one for Valentine's Day. 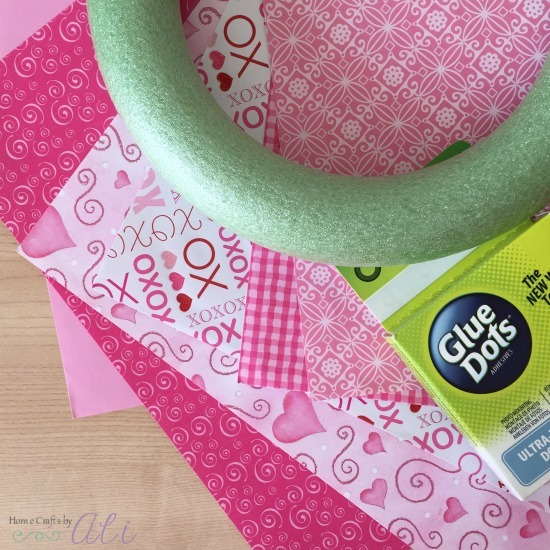 I looked through my crafting supplies and came up with this fun idea. I hope you like it as much as I do! This month I'm joining with a group of crafty bloggers in a destash challenge. What is that you are wondering? Well, as craft bloggers, we tend to buy quite a bit of supplies because of all the creative projects we plan to work on. Sometimes those supplies start to take over crafting spaces. This is probably 1/20th of my crafting supplies. Wood pieces, notebooks, scrapbook paper, buttons, washi tape....I'm running out of room! 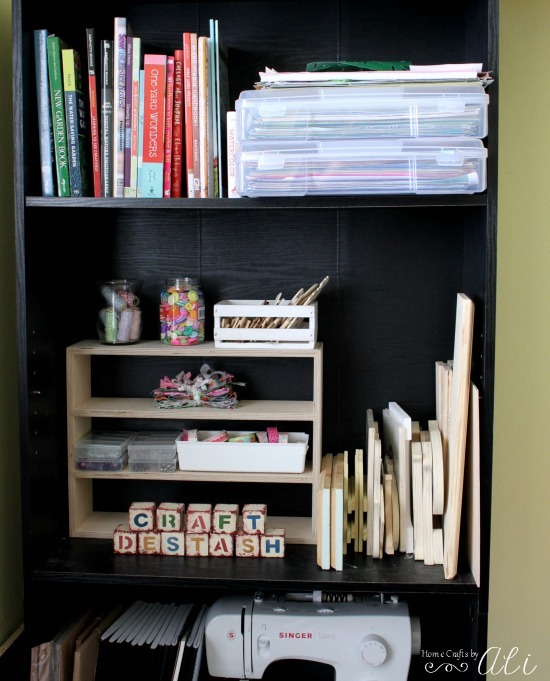 For this challenge we agreed to use supplies that we already own so we can buy more supplies find what we are looking for in our craft rooms. I decided to use up some of my scrapbook paper for this challenge. To see the great projects from my fellow craft bloggers, check out the links at the bottom of this post! 1. Cut your papers into 1 1/2 inch strips. Cut 4-5 strips for each pattern of paper - how many you need will depend on how large your wreath form is. My wreath form was 9 inches and I used 4 strips of each of the 6 papers. 2. To make your paper pieces a little decorative, trim the ends of your paper. I cut a triangle out of both sides of the paper strips. 3. Loop the strips of paper loosely around the wreath form. Line up the ends of the paper, put a small Glue Dot on the paper close to the wreath form, then smooth together. You could also use a stapler to keep the paper together if you want to, but I think it looks nicer with the glue dots hidden inside. 4. Slightly overlap the papers as you go so none of the wreath form shows through. Repeat all the way around your wreath. 5. Cut the amount of ribbon you will need for hanging your wreath. Hot glue crossed ends of ribbon together so it makes a loop. 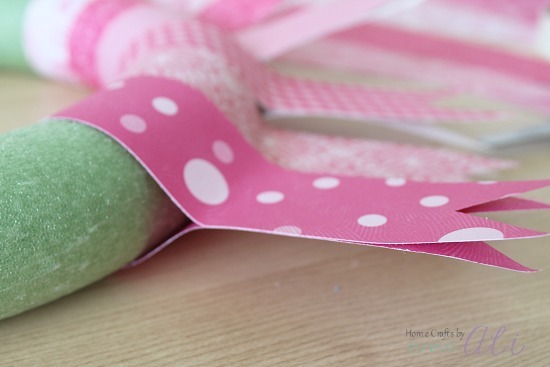 Hot glue ribbon loop onto the back of your wreath where you want it to hang. That's it!! 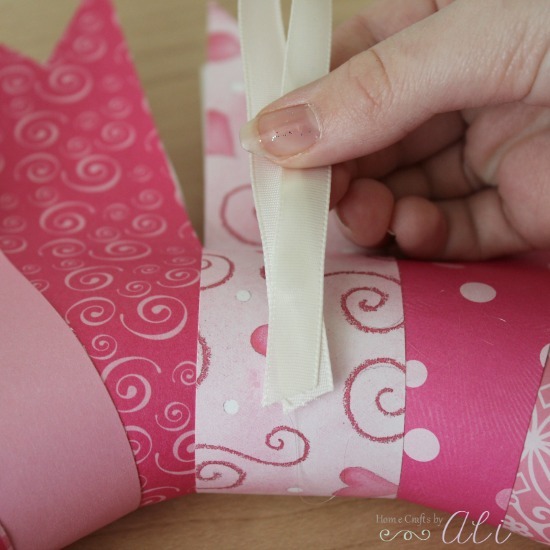 From start to finish, you will have a pretty paper wreath for your door in about half an hour. 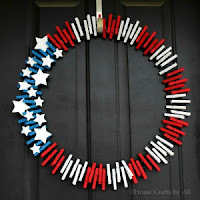 It's so easy to make and looks nice hanging on your front door for all your visitors to see. I hope you liked this simple and easy paper craft today. What a cute Valentine decor piece! Don't forget to visit these other great projects too! 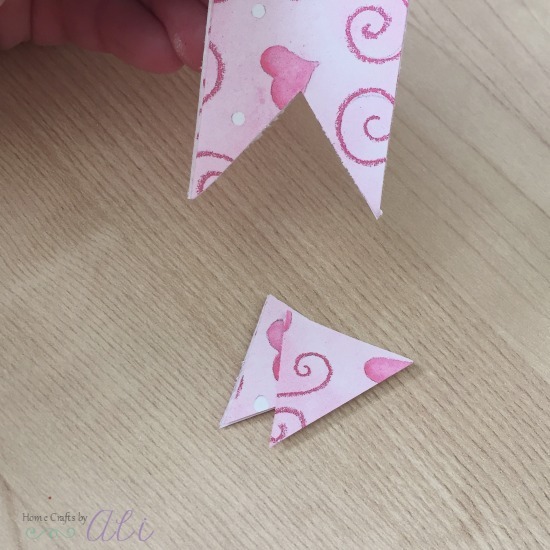 Such a cute idea on how to use up scrapbook paper! So very pretty. I need to make one!!! Glad you stopped by today Deborah! If you make one, share a picture on my Facebook page so I can see! Too cute and so simple and fun! I could of used an idea like this yesterday. Thanks for your nice comment Kim! I love easy crafts too. Such a pretty wreath. I would love to make one of these! Thanks for sharing! I'm glad you like it Michelle! Cute! Sharing. Visiting from Crafty Destash. This is cute. I like the idea of a little something for Valentine's Day. It makes our space for colorful and happy. It tends to be plain after taking down all of the Christmas decorations. I feel the same way Debra. I usually take down Christmas and don't decorate until Spring. This is a nice in-between. What a festive wreath! I need to do something like this, I haven't done much for Valentine's Day in the past few years. Stopping by from the #CraftyDestash challenge. This is super cute! Love how you used scrapbook paper. Very creative! Thanks! I like finding different ways to use my crafting supplies. My kids want to make one for their bedroom doors now. Ali, I always love what you create! This wreath is so sweet: it would be great as a little mid-winter pick-me-up for a teacher. :-) Cheerful and fun! You are so sweet Sarah! What a nice idea for a teacher gift. Our piano teacher was just saying she wanted something for her door. 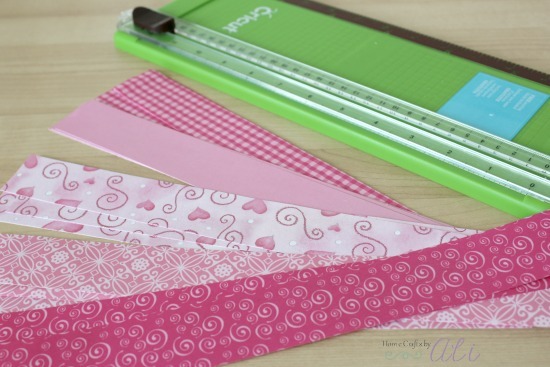 What a cute idea and great way to use up some cute scrapbooking paper!!! Thanks Chelsea! I have a pretty big selection of papers, so it was nice to use a few sheets. Cute! I have thousands of scraps stashed away that would be perfect for this!